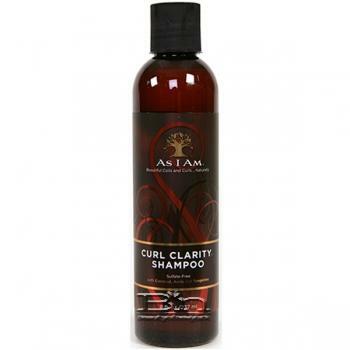 As I Am Curl Clarity Shampoo with Coconut, Amla and Tangerine. Sulfate-Free. Directions: Wet hair thoroughly. 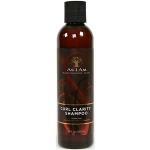 Massage into lather throughout hair and scalp. Rinse well. Repeat as necessary.